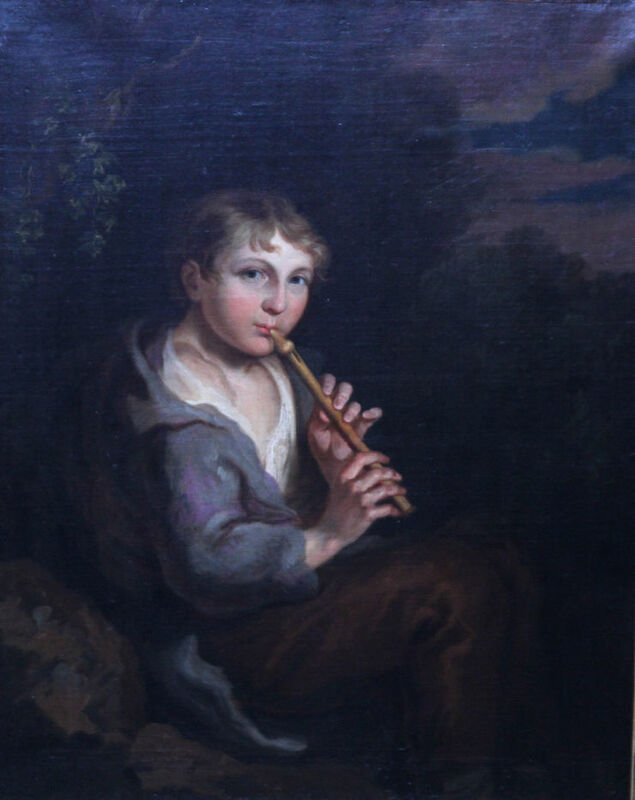 This interesting painting is a British Old Master late 18th century or early 19th century oil painting attributed to Thomas Barker of Bath. It is stylistically very similar to his other works of the period such as Rustic in a Landscape. 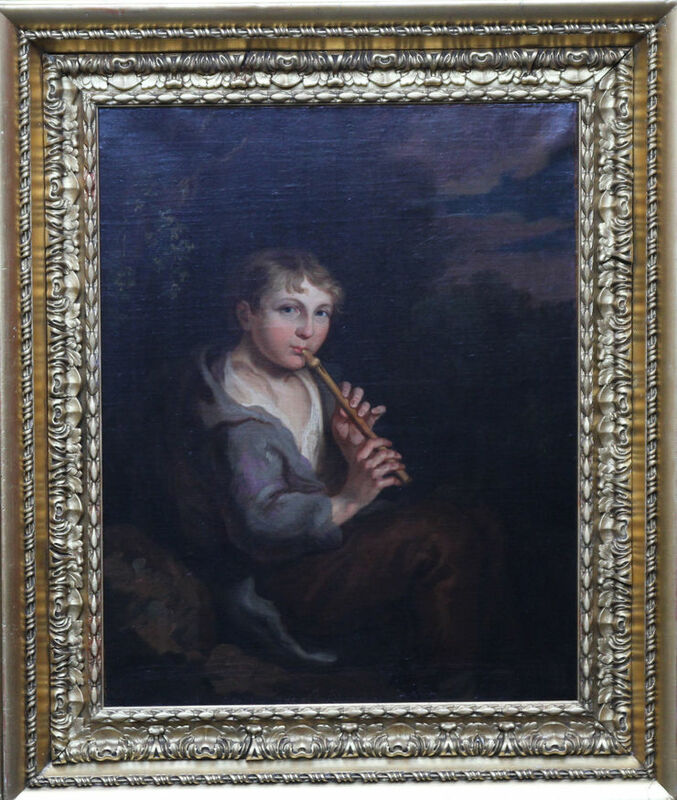 The composition is a seated young boy playing a type of flute against a landscape background. The artist has focused on the boys face and hands in great detail and the boy gazes right at the viewer. There are tremendous pink/purple tones in the sky suggesting dusk is approaching. A captivating image. Housed in a complementary frame, 35 inches by 30 inches and in good condition.